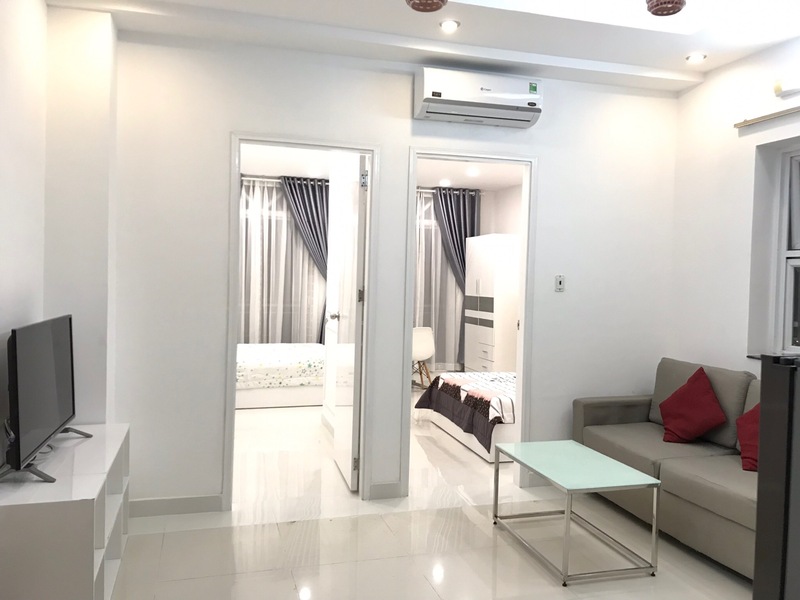 Two bedroom serviced apartment for rent on Duong Ba Trac street, district 8 (SM8 – 401). 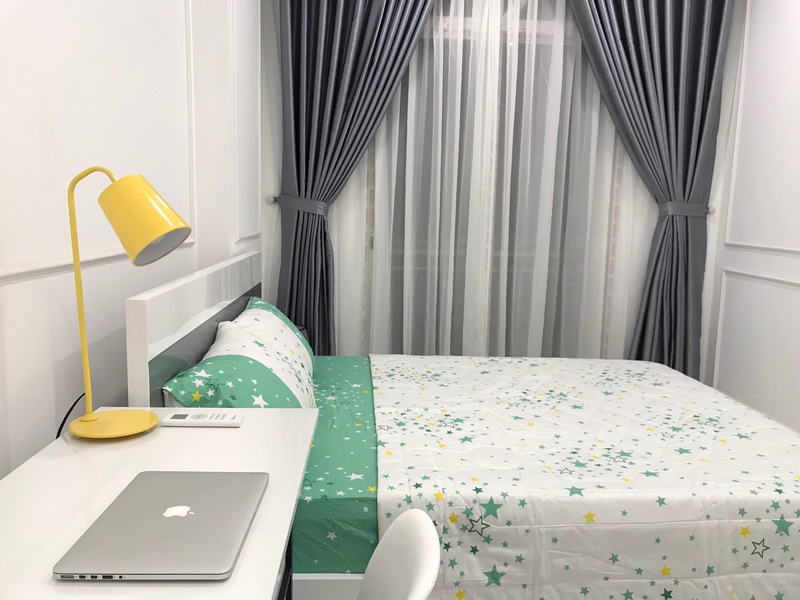 The apartment is 60m2, with 2 separated bedroom, equipped kitchen, 24/7 security, security camera, and cleaning service twice a week for $650/month and $45/day. 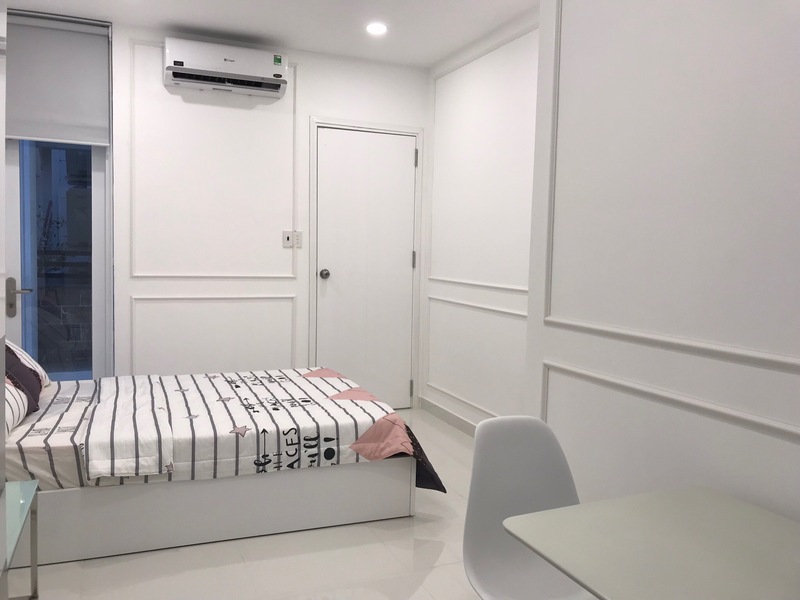 This serviced apartment is only 1km away from District 1, District 4, District 5 and District 7. 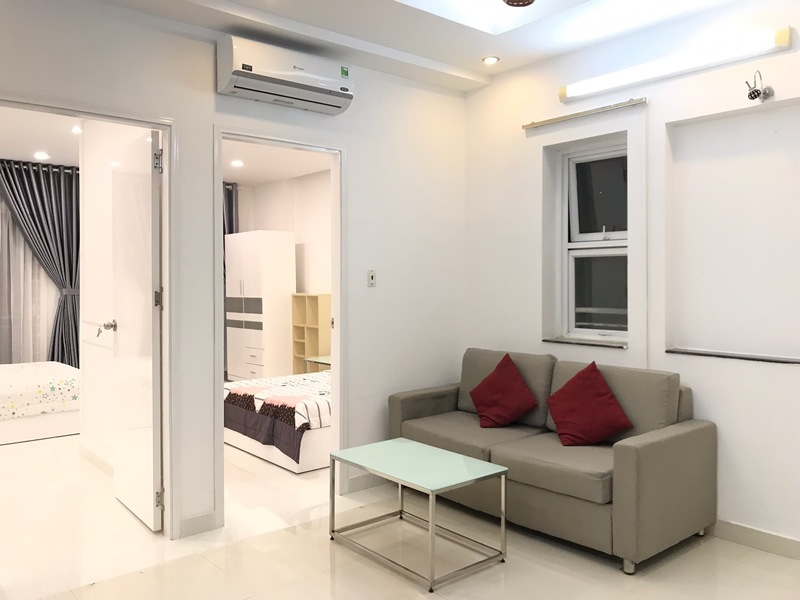 Do you need to find a fully furnished 2 bedroom apartment for rent in HCMC? 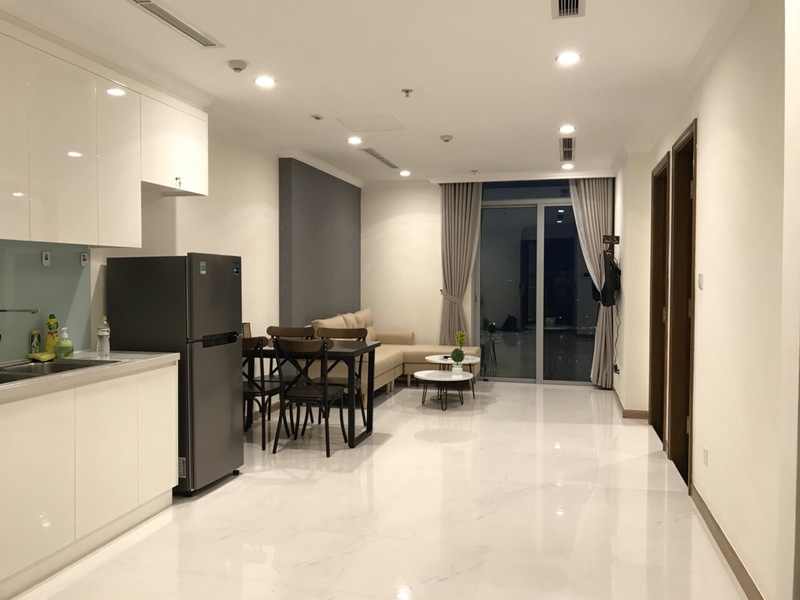 Do you need to look for a serviced apartment for rent for expats near district 1, HCM? 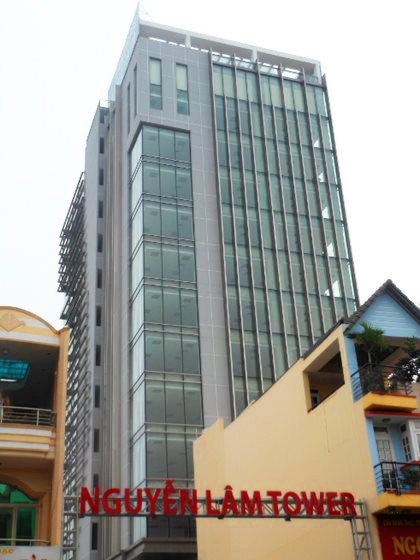 Do you need to find a serviced apartment for rent near Nguyen Lam Building, district 8? 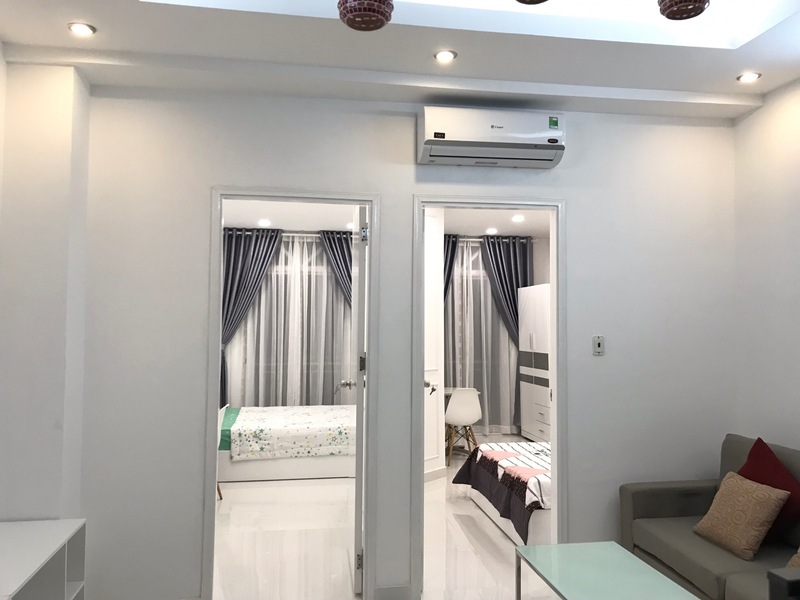 Smiley Apartment would like to introduce to you Smiley Apartment 8 located at 258/82 Duong Ba Trac, ward 2, district 8, HCMC. 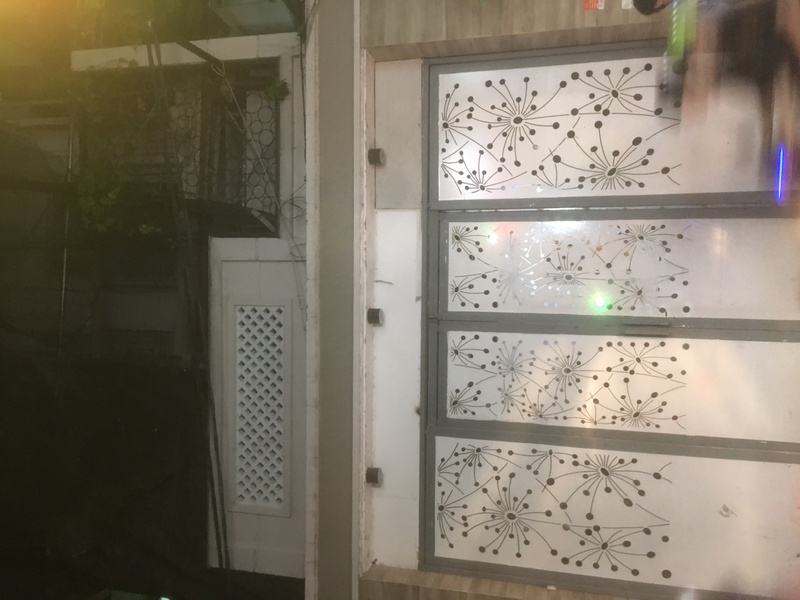 Many foreigners tend to think that this area is very far away from the city center, but actually it is connected with districts 1 and 4 through Nguyen Van Cu bridge. 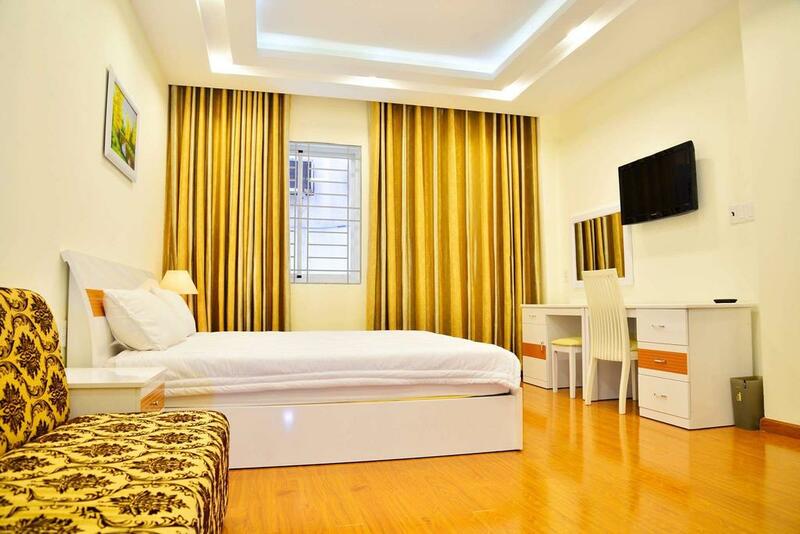 The house has a ground floor and 5 upper floors, with the total of 10 apartments for rent. 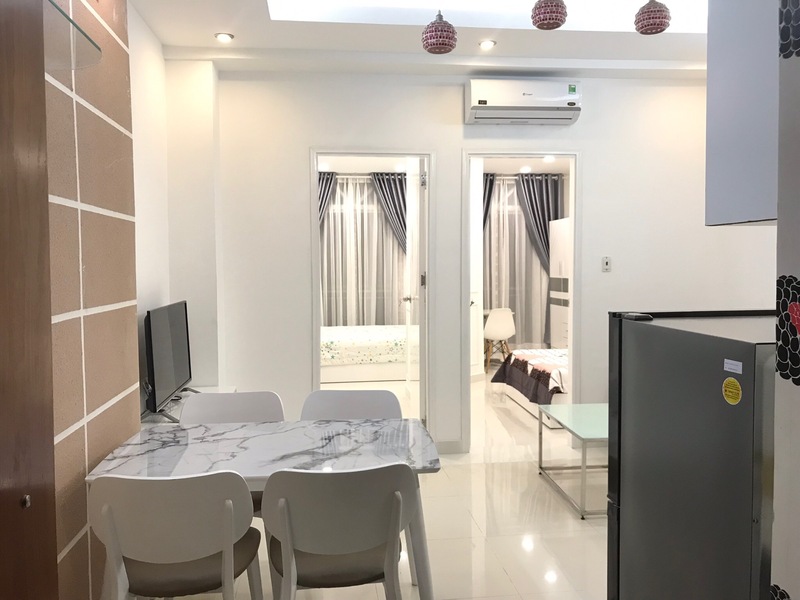 icon-building Ground floor: 1BR Apartment G02 + parking area. 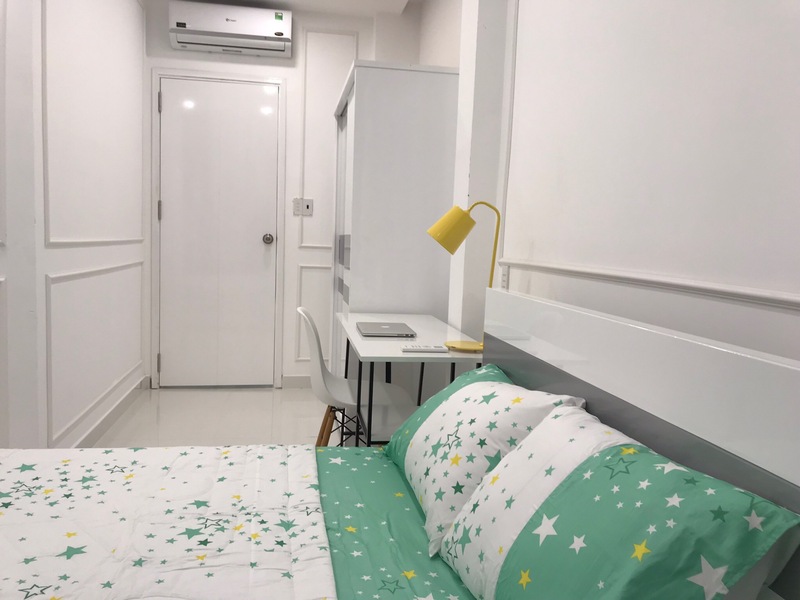 Rent includes: Cleaning twice a week, line change once a week (Except Sunday and public holiday), Wifi, cable TV, bike parking, maintenance and management. 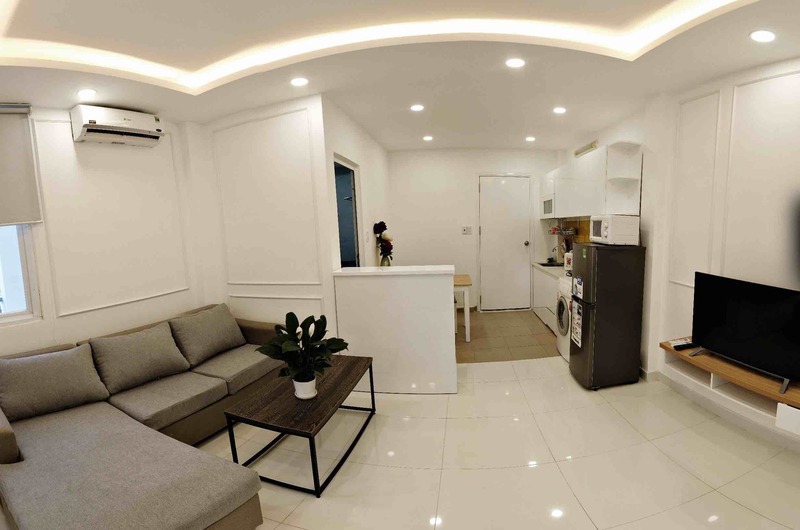 The apartment is 60sqm with 3 balconies, windows, 2 bedroom, 1 bathroom, and kitchen. 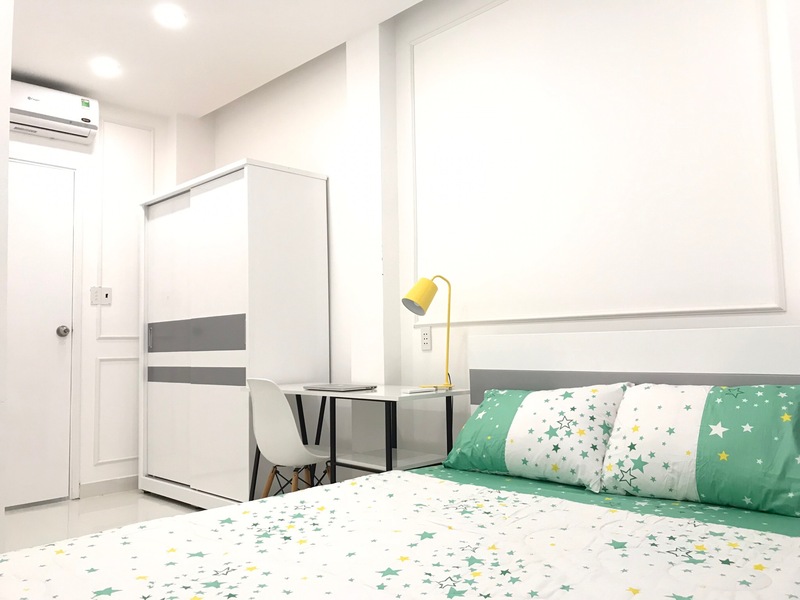 Free: Cleaning, linen change, bike parking, tap water, Wifi, cable TV. 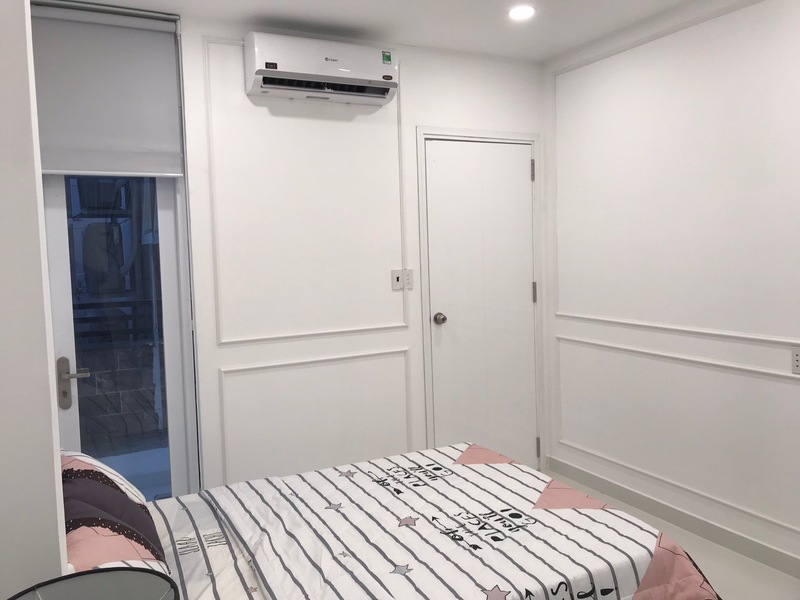 Bedrooms: Air conditioners bed, mattress, linen, wardrobe, dining table and chairs, bathroom. 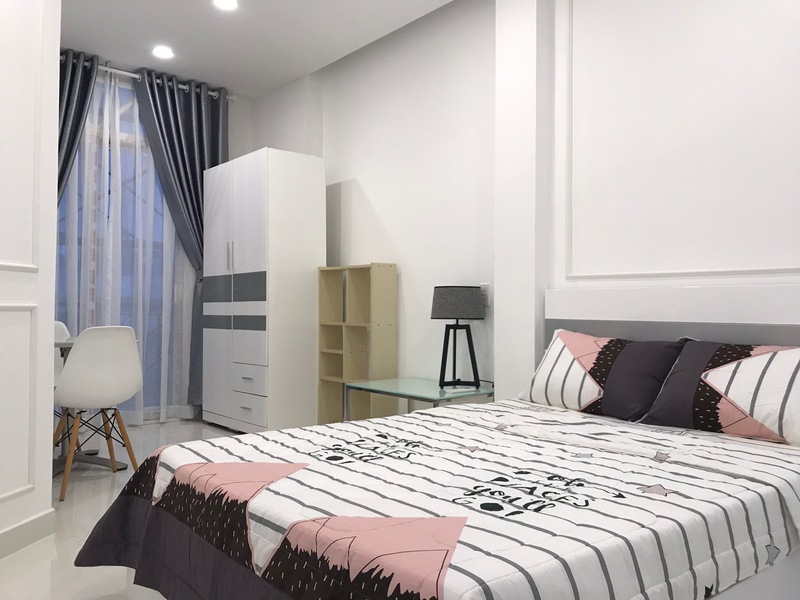 icon-building Smiley Apartment has 8 branches located in District 1, District 2, District 8, and Binh Thanh District, HCMC, offering over 100 studio apartments, 1 bedroom, 2 bedroom. 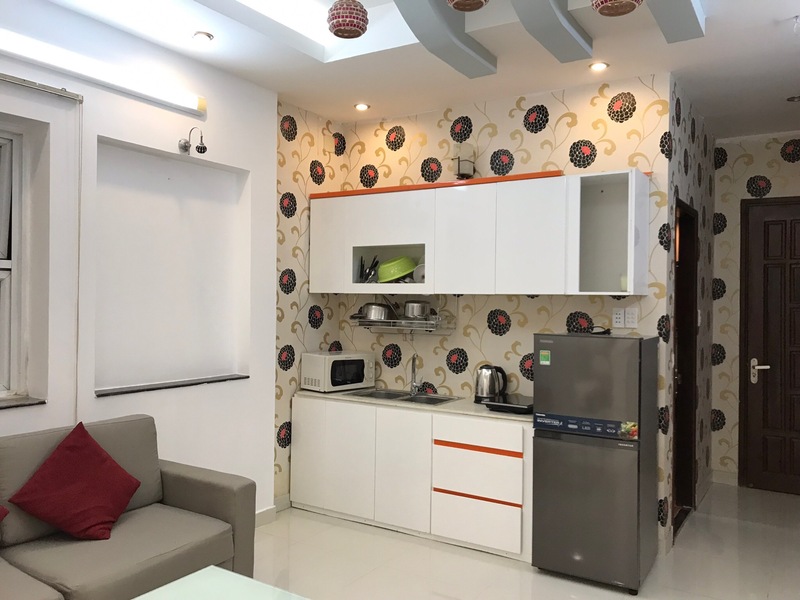 Each apartment is fully furnished with modern furniture providing the most comfortable living space for tenants. 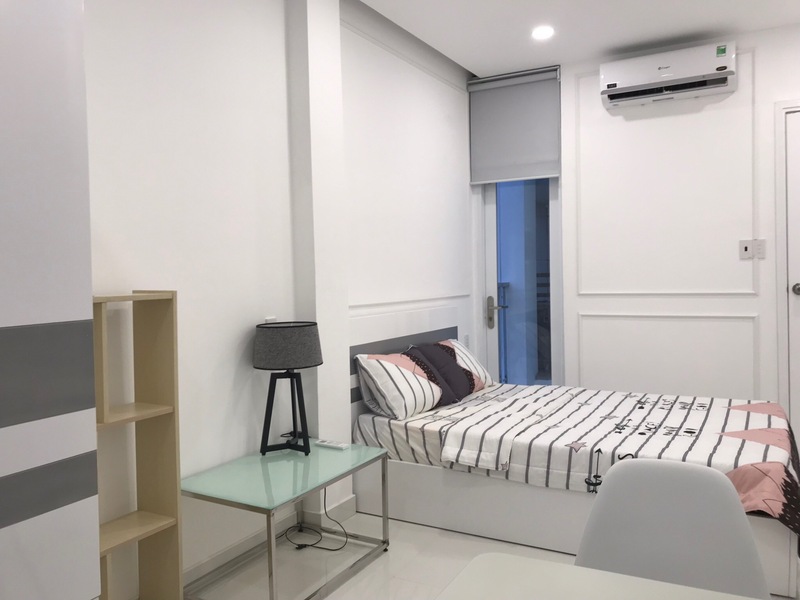 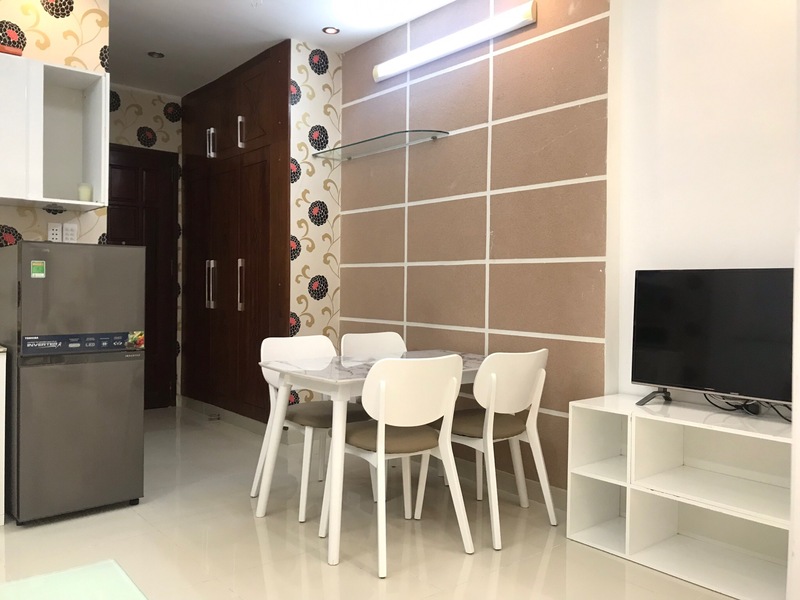 If you need to rent a serviced apartment in Ho Chi Minh City for both short-term and long-term, please contact us through our hotline for advice and support.